One is a distinguished retired army officer, the other, an outstanding journalist: Lieutenant General P C Katoch and journalist Saikat Dutta. Their book, India's Special Forces; History and Future of India's Special Forces, is as relevant today in the wake of the terrorist attack on an Indian Army camp in Uri on September 18, 2016 as it was when published three years ago. Since there has been animated national discussion on military retaliation against Pakistan after the Uri attack, we republish sections from Sheela Bhatt's interview with General Katoch and Saikat Dutta, first published on Rediff.com on April 15, 2013. Can you shed light on the distinct identity of such forces if compared to normal battalions? 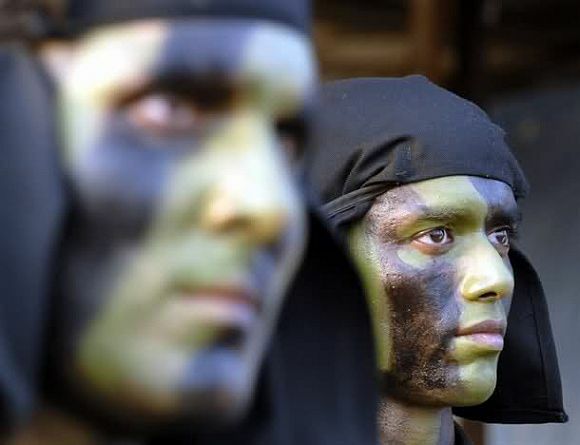 General P C Katoch: India has failed to strategically employ its considerable number of special forces, especially in creating deterrence against the asymmetric war unleashed upon us by both Pakistan and China since past several years. We need to right this urgently. Special forces are not only differently organised, manned, equipped, trained and employed compared to normal infantry battalions, special forces should primarily be tasked strategically. There is considerable confusion in India (including some created deliberately by vested interests within the military) as to who the special forces are. In effect, they are the military special forces, the special action groups of the National Security Guard and the special action groups of the Special Frontier Force, albeit India has failed to employ these forces strategically, as the case should be. Saikat Dutta: The era of conventional wars is almost over in the Indian context. In such a scenario, special forces could play a decisive strategic role in the spectrum of conflict. Saikat had once written, 'The evolution of special forces in India continues to be a painful and muddled process.' Can you explain why you said so? General Katoch: When the first Indo-US Defence Planning Group meeting was held in New Delhi post 9/11, the Americans were flabbergasted to learn two facts: First, that our ministry of defence had no military personnel on deputation or on permanent absorption; second, that our parachute (special forces) battalions and parachute battalions are grouped in the same parachute regiment. The fact is that a parachute battalion is an infantry battalion that can be delivered by air and once para-dropped, it performs its infantry role. In April 2002, Lieutenant General R K Nanavatty, then the Northern Army commander (who had served as commander, HQ special forces including as part of the IPKF in Sri Lanka) had stated, "I find the vision blurring in certain quarters on the issue of parachute and parachute (special forces) battalions. I am very clear that a parachute battalion is simply an infantry battalion in an airborne role and has nothing in common with a special forces battalion." "Also, the special forces is not a game of numbers and I for one am against their expansion of any sort. 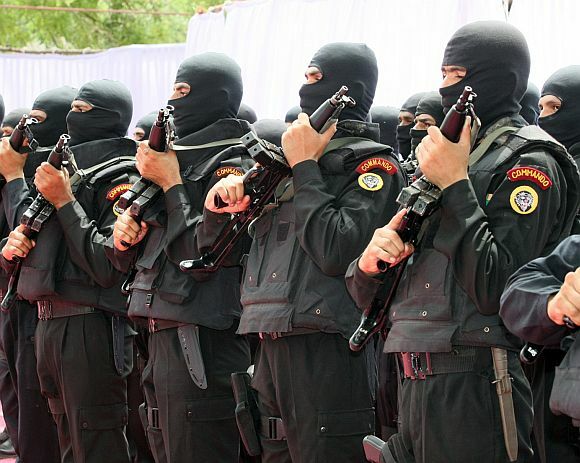 Our special forces in their present state are comparable only to the Rangers of the US. We must consolidate and modernise our existing special forces resources. As regards the parachute brigade, I view them as a rapid reaction force to be used within and outside the country." Unfortunately, the parachute regiment mostly had colonels of the regiment who had not served or commanded special forces units/sub units and their sole aim was to convert more and more parachute units to special forces, undermining the growth of special forces and stunting the special forces concept. We have gone for unprecedented special forces expansion, ignoring the universally accepted four special forces truths: One, humans are more important than hardware; two, quality is better than quantity; three, special forces cannot be mass produced; four, competent special forces cannot be created after emergencies arise. We have faulted in the unprecedented expansion of the NSG as well. During the tenure of General B C Joshi as the chief of the army staff, a special forces regiment was formed in the army with due government sanction and the then three special forces battalions were renamed 1 Special Forces, 9 Special Forces and 10 Special Forces, also with due government sanction. 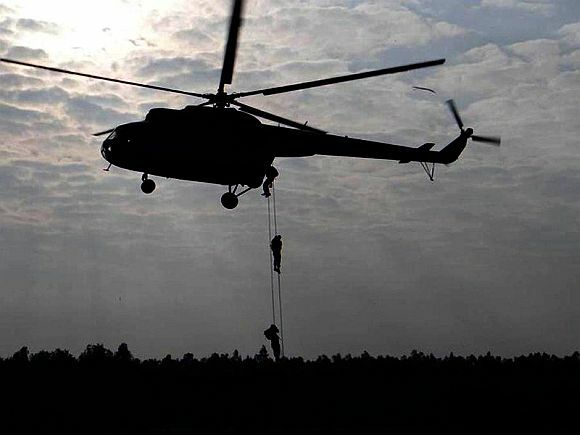 A HQ special forces, plus a special forces training wing were raised and the commando cell in military operations was elevated to be headed by a brigadier-level officer. Ironically, General Joshi died in harness and his successor, General Shankar Roychowdhury, disbanded the special forces regiment. Saikat Dutta: Today, in just numbers, we have more fighting men who are called special forces than all the fighting men and women troops under the United States special operations command. But in terms of quality, reach, capabilities we are far, far behind them. So what is the use of having large numbers when they are reduced to playing the role of a super-infantry at best? This is an extremely sad state of affairs because special forces, by nature, are small, need intensive investments to develop special skills which cannot be mass produced. Instead of recognising this basic fact, we have ended up aimlessly expanding our numbers despite our severe resource crunch at the cost of quality. This has severely affected the quality and capability of our special forces. Have India's special forces been successful? General Katoch: Let me put it this way, they have been successful within the constraints of their employment albeit they have hardly been employed as how special forces should actually be -- strategically. 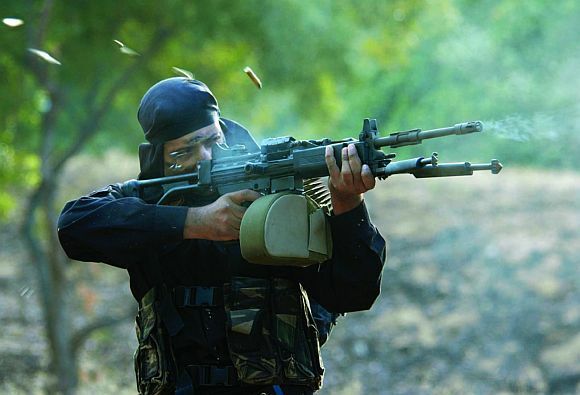 They have been mostly used for counter insurgency within India, where their record has been very good, but these are tasks which can also be performed by infantry and troops of other units like the Rashtriya Rifles and the Assam Rifles. While special forces should be central to asymmetric response including against irregular forces, asymmetric warfare does not automatically equate to a physical attack. A physical attack is only the extreme and potentially most dangerous expression of asymmetric warfare. The key lies in achieving strategic objectives through application of modest resources with the essential psychological element. In its history, which action of the special forces will you term as glorious? General Katoch: The best of actions have been in counter insurgency operations (that is what I call within constraints of their employment). They also accredited themselves very well in Sri Lanka as part of the IPKF as LTTE intercepts indicated these were the troops that the LTTE feared most. Saikat Dutta: As General Katoch rightly says within the constraints the Indian special forces have done a wonderful job. If we see the gallantry medals given to the three original special forces units (1, 9, 10) we will see that the high number of medals speaks volumes about the quality of the men who serve in these three elite units. But special forces are meant to perform strategic tasks. That is the reason countries have special forces. However, a shy politico-military leadership has trapped themselves into a vicious cycle. They have always viewed and employed the special forces in very narrow, tactical terms. As a result they have never bothered to arm, equip or task them for the strategic interests that special forces are supposed to achieve. For instance, the only military officer who sits with the Cabinet's crisis management group in the United Kingdom is the director, special forces, a major general officer who has served with the elite SAS in his career. That is the importance mature democracies and governments accord the special forces. In India, there is no recognition of the role, capabilities and therefore, requirements of the special forces by both -- the military and the political leadership. 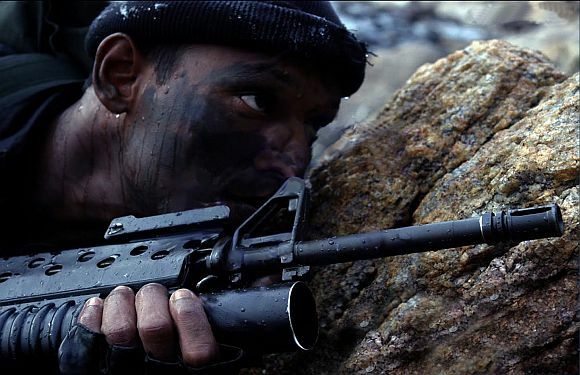 When did Indian Special forces fail? General Katoch: Analysis proves that failures have occurred when the hierarchy/higher commanders fail to understand what special forces are about, and ironically fail to listen to special forces advice. Even if one is stupid enough to task them wrongly, you have to leave the execution to them -- not compound the stupidity of ordering them 'how' to execute the task. Besides, you cannot task special forces on zero intelligence. Reading the book, you can examine yourself why the helicopter borne raid in the Jaffna University area during the IPKF operations, why frontal assaults were ordered during Operation Vijay and Operation Blue Star and what the consequences were. No one was taken to task why such frontal assaults were ordered in the first place when special forces do not have such fire power and manpower, and in one case even barred from carrying what fire power they had, leading to excessive avoidable casualties and the commanding officer telling the media subsequently, "They were sent in with their hands tied behind their back." The NSG task force enroute to 26/11 was told by the DG NSG enroute that he wanted the terrorists alive -- alive when they are firing AKs and the NSG boys didn't even have corner shots? Post the US special forces raid to kill Osama bin Laden, I was asked during a television debate whether our special forces can execute such a task. My response was that if we could put down two helicopters similarly in Osama's compound, no reason why our boys cannot do it, but the question is does India has such capacity and is doing anything to achieve such capability -- the answer is a big fat no! Saikat Dutta: In the book we have recorded how special forces were repeatedly misused -- be it Sri Lanka or the Kargil War. Under 8 Mountain Division, one elite SF unit was sent on a mission when they did not even have the ropes to tackle the heights. They were not allowed to enter Pakistani-occupied territory when special forces are meant to go behind enemy lines! Special forces units are much smaller than a conventional infantry unit and since they work in small teams they don't carry any heavy guns or firepower. Despite that, they were thrown into frontal assaults like conventional infantry battalions leading to several failures. This was a criminal misuse of special forces and left them high and dry. Are the Days of Restraint Over for India?